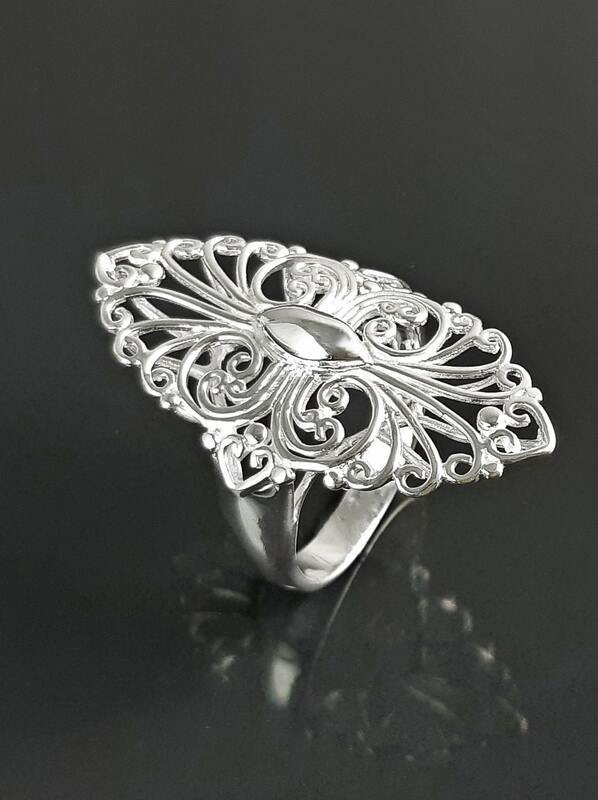 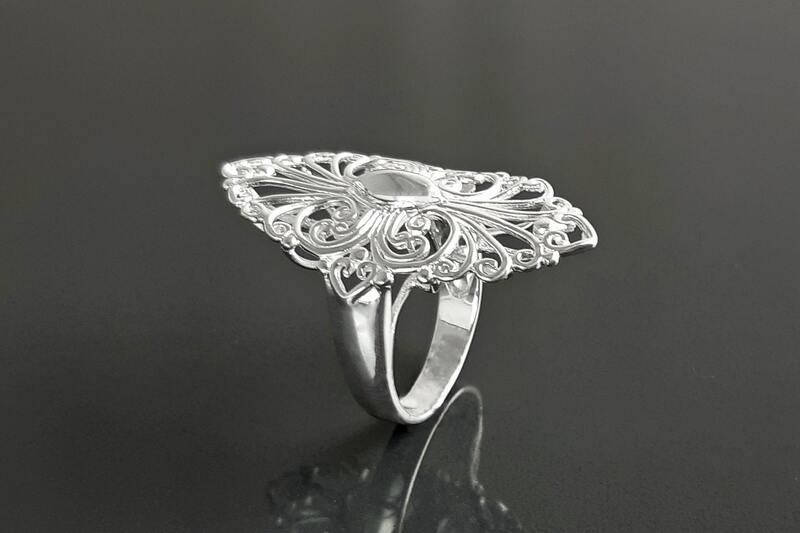 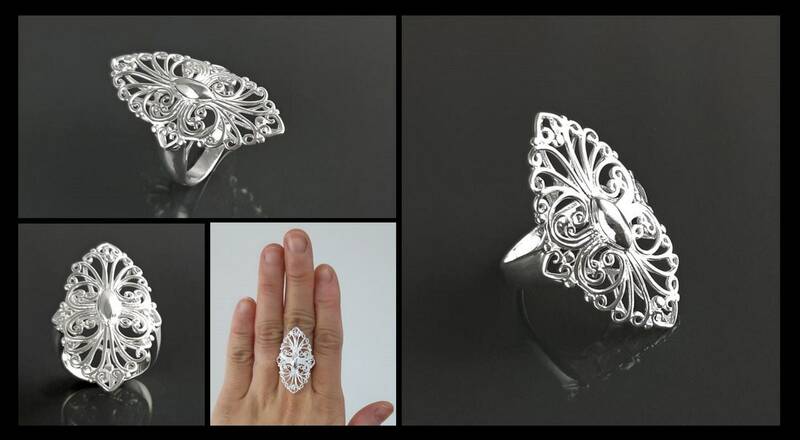 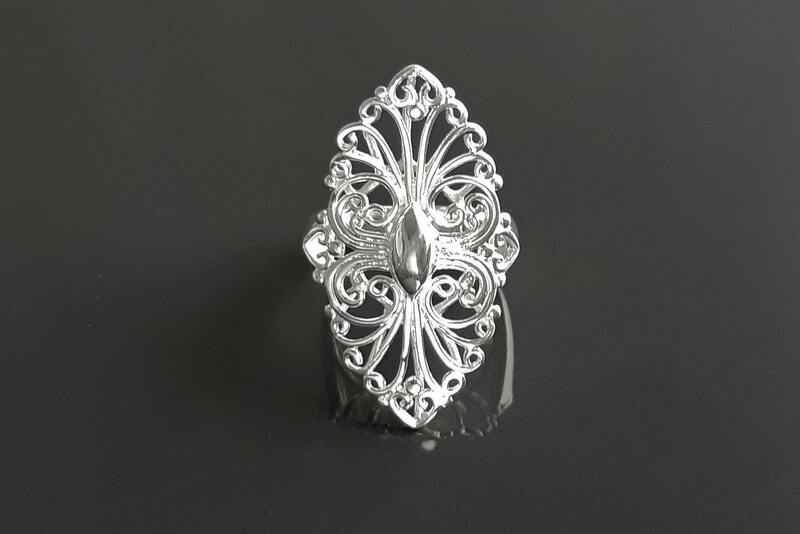 Vintage in Design, this handmade Sterling Silver Statement Ring has a Intricate Filigree inspired by the French Versailles Castle. 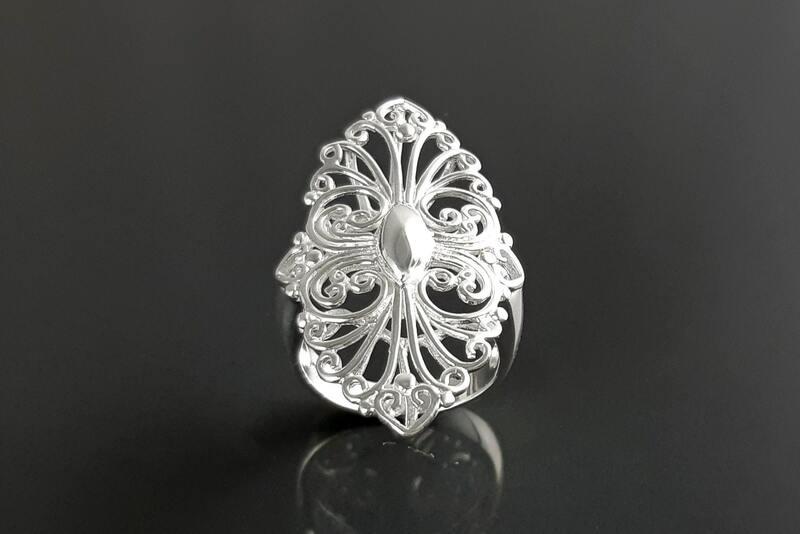 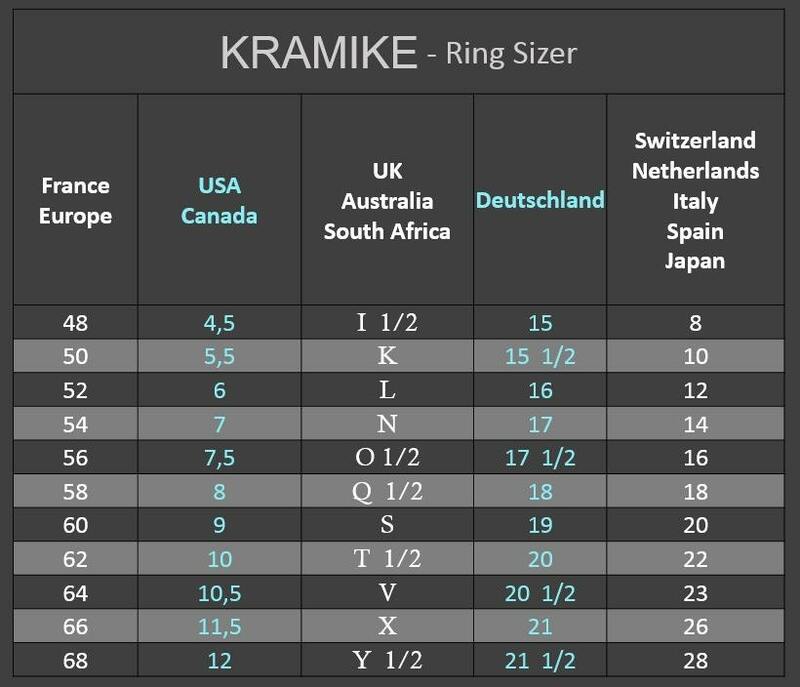 Ring size is 3.6 cm length and 2.2 cm of width. 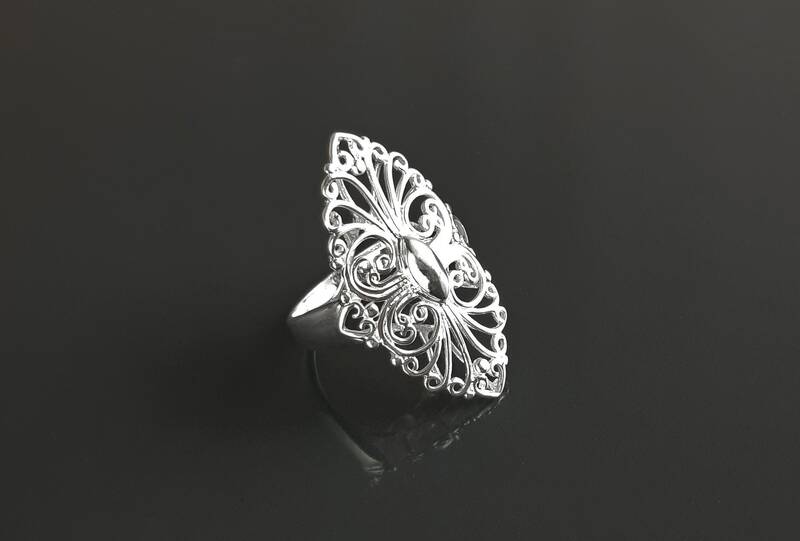 Average silver weight : 7.4 gr.